(AP) CAIRO - Authorities delayed the announcement of the winner of Egypt's presidential election, which had been expected Thursday, and gave no date for a decision, hiking tension as allegations of fraud swirled and each candidate declared he was the victor. Amid the atmosphere of political confusion, the Muslim Brotherhood claimed there was an organized campaign of allegations against it to mar the election and keep its candidate, Mohammed Morsi, out of the presidency. The accusation raises temperatures and the possibility of a backlash from the Brotherhood if its rival  former prime minister Ahmed Shafiq  is declared the winner. The Shafiq camp says that the former air force commander  who was Mubarak's last prime minister  won with 51.5 percent of the vote. 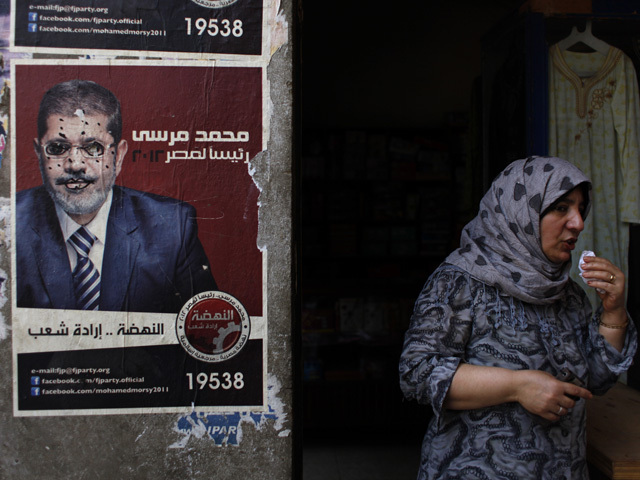 The campaign of Islamist Mohammed Morsi of the Muslim Brotherhood says he got 52 percent to defeat Shafiq with 48 percent.